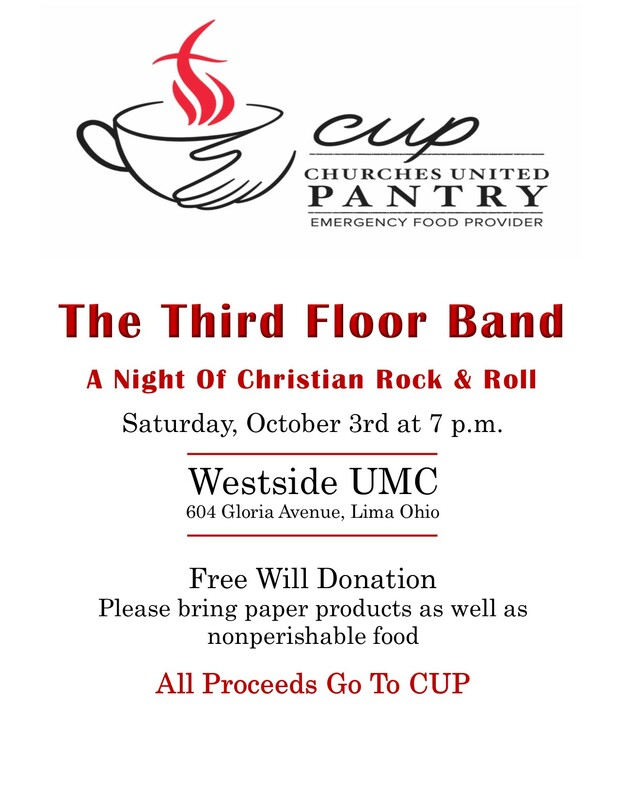 The Churches United Pantry of Lima, Ohio, provides people with a three day supply of food on a once a month basis. It is an ecumenical partnership of 10 Lima Area churches. The United States Post Office teamed up with local food pantries to Stamp Out Hunger today. Ten teams of CUP volunteers, in conjunction with the post office, picked up donations left throughout Lima neighborhoods. CUP director Mary Stepleton was thrilled to report that CUP’s tally for the day was ten full grocery carts. Postal workers also collected donations which will go to the West Ohio Food Bank for distribution to other area food pantries. 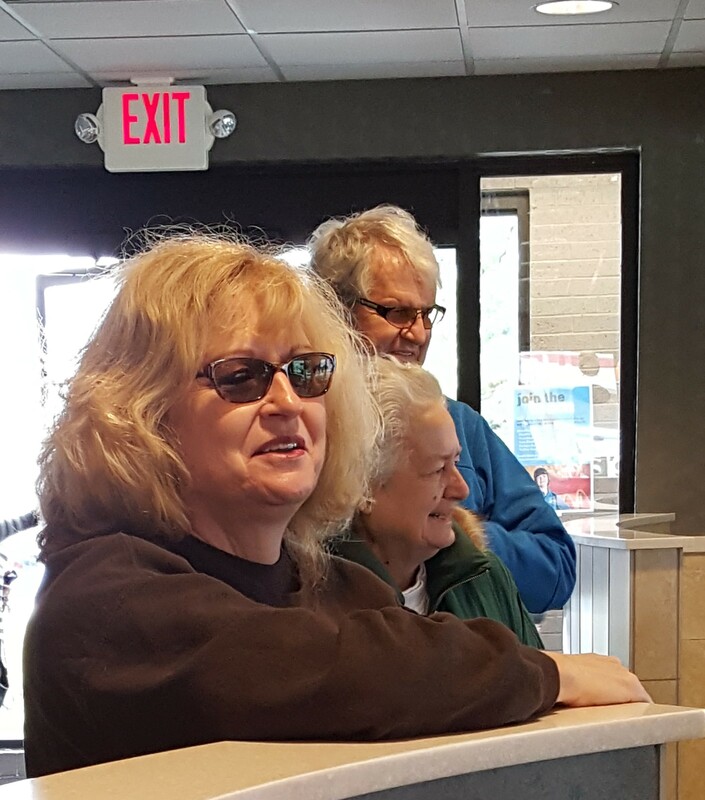 Stepleton offered high praise to CUP volunteer Suzanne Plumb, who organized CUP’s participation in the event. Last month, CUP provided food for nearly 2000 people in Lima. 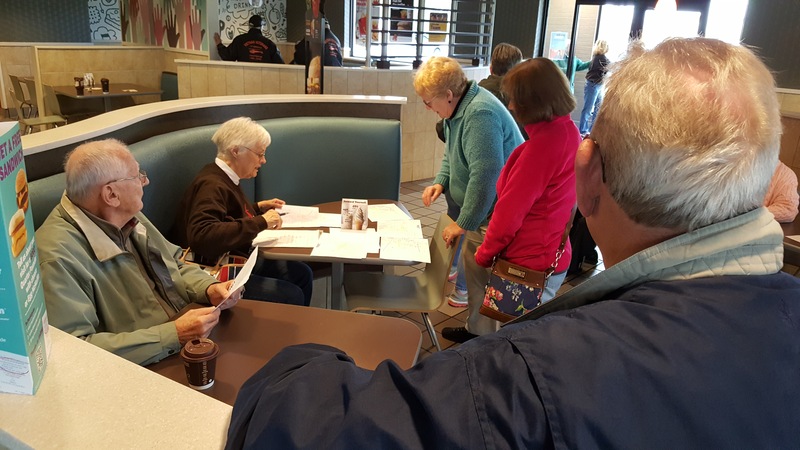 The bulk of the organization’s support comes from its local church partners and events such as the USPS’ Stamp Out Hunger event. The next CUP event will be a concert at Shawnee Alliance Church on May 28. SIX bands will be rocking Shawnee Alliance Church, all to benefit CUP. Doors open at 4 pm, and the music starts at 5. Donation of 2 personal care items for admittance. We are not even through the first chapter, barely 700 words into the story of creation, when God gave us food. Adam and Eve haven’t been named, and already, the table is being set. Providing for our basic needs was part of the plan, and there are no conditions, no expectations. A simple, elegant idea: all the beasts, birds–everything that has breath–can find food plentiful and available in the Garden of Eden. For some of us, food seems to be everywhere. Coworkers bring treats, television ads tantalize us with goodies, and recipes abound on our computers. We could debate, of course, whether Oreos fit with God’s vision of healthy abundance a la Eden, but regardless, for many in our society, cupboards overflow and refrigerator shelves are stacked high. For those of us who are surrounded by food, it’s nearly impossible to imagine what it feels like when the cupboard is bare and the ingredients for even a small meal aren’t to be found in the refrigerator—and that’s assuming you have one and it works well. 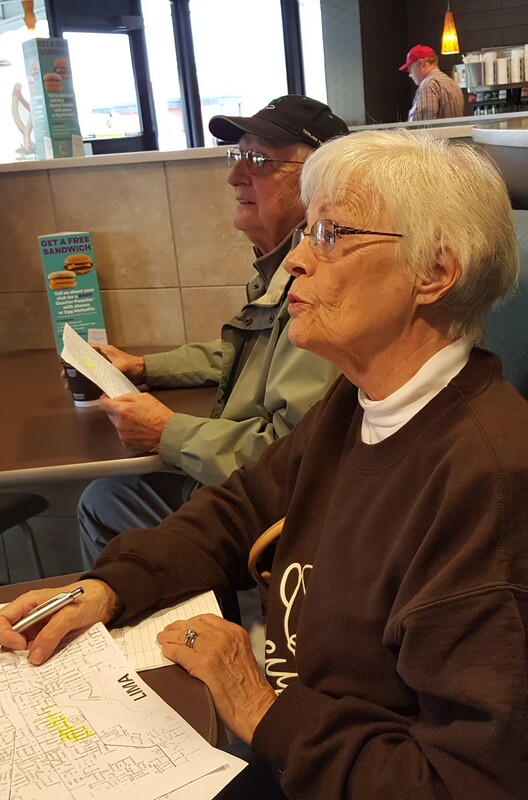 The people who volunteer at CUP hear the stories of people who can’t take for granted the abundance that some of us take for granted. That’s the sort of platitude that people say, or preach from a pulpit, or post in a Facebook image. But there’s an important point that is easily glossed over as we rush from “In the beginning” to Adam and Eve: God intends for us to have our basic needs met. God’s grace began in the garden. By working and donating to CUP—or to any of the myriad ministries in the area that strive to feed, clothe, and house our brothers and sisters, we are simply following the model set in the Garden. CUP was thrilled to present 13 people with skillets at today’s Cooking with CUP demonstration. 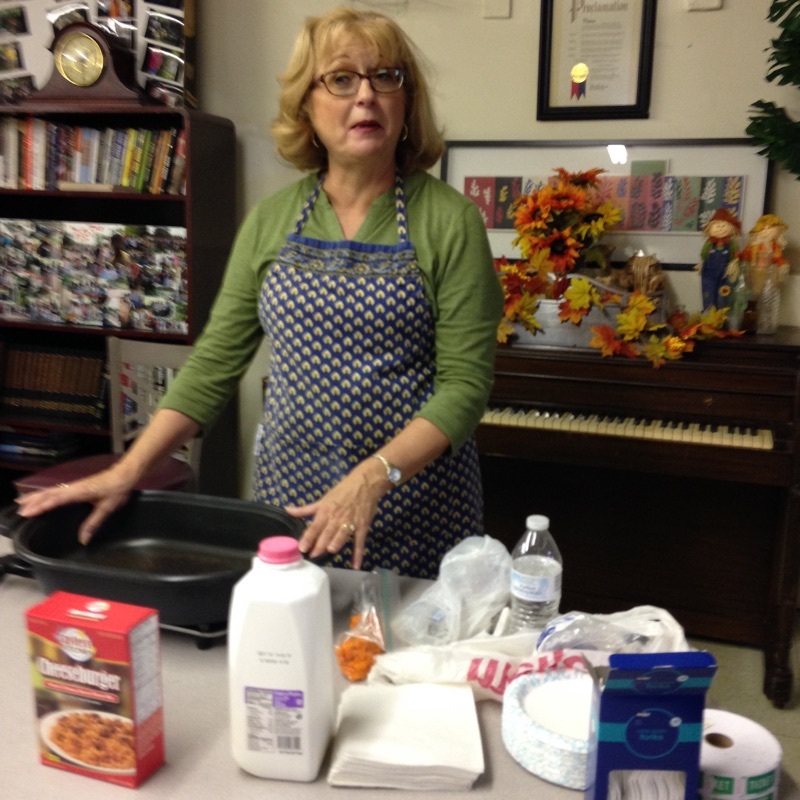 CUP director Mary Stepleton showed participants how to make a tasty dish using ingredients that they could get at the food pantry. The skillets were donated by people who attend the churches that support CUP and by CUP’s Facebook supporters. This was the first time CUP has done this type of event, and Mary Stepleton characterized it as being “like Christmas” for the people involved in it. The event was part of the daily events scheduled throughout October by the mental health and homeless support organization Changing Seasons to draw attention to the plight of the unemployed and homeless in Lima. Many thanks to everyone who donated–you’ve made someone’s supper much better! Enjoy your favorite homestyle cooking while supporting CUP! 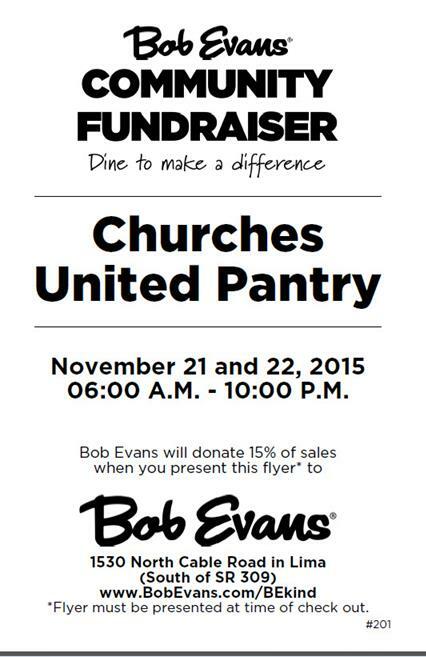 Bring this flier to Bob Evans on Nov. 21 or 22 and Bob Evans will donate 15% of your purchase to CUP. Click the link below for an easy to print version of the flier, or contact one of our partner churches for a copy of it. And invite your friends and neighbors! Note: this is good only at the CABLE ROAD Bob Evans in Lima. Are you up for a challenge? 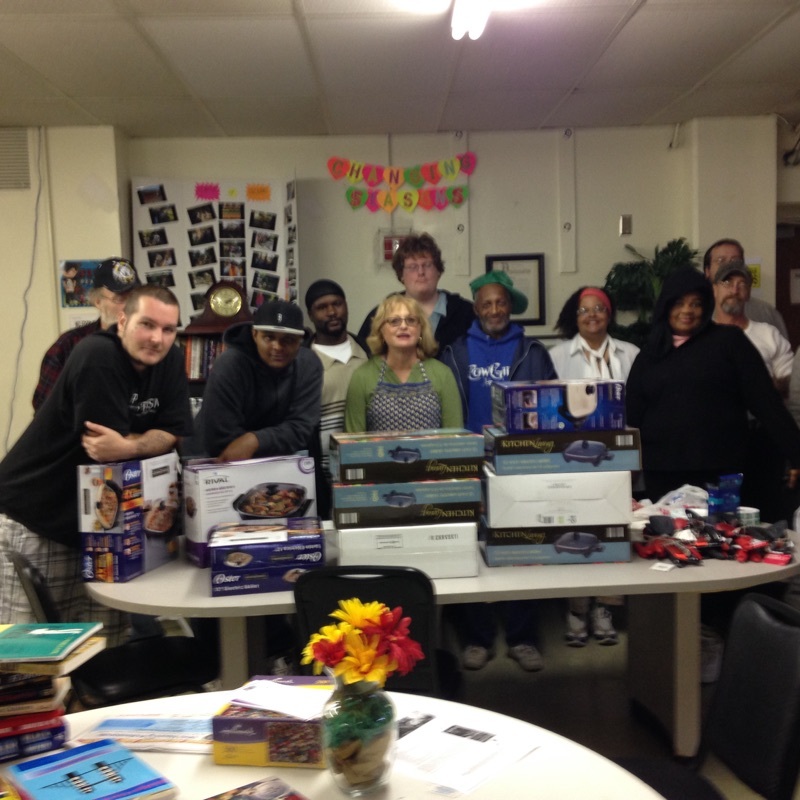 Churches United Pantry has an idea that you could help bring to life! Throughout October, the mental health and homeless support organization Changing Seasons is sponsoring daily events to draw attention to the plight of the unemployed and homeless in Lima. 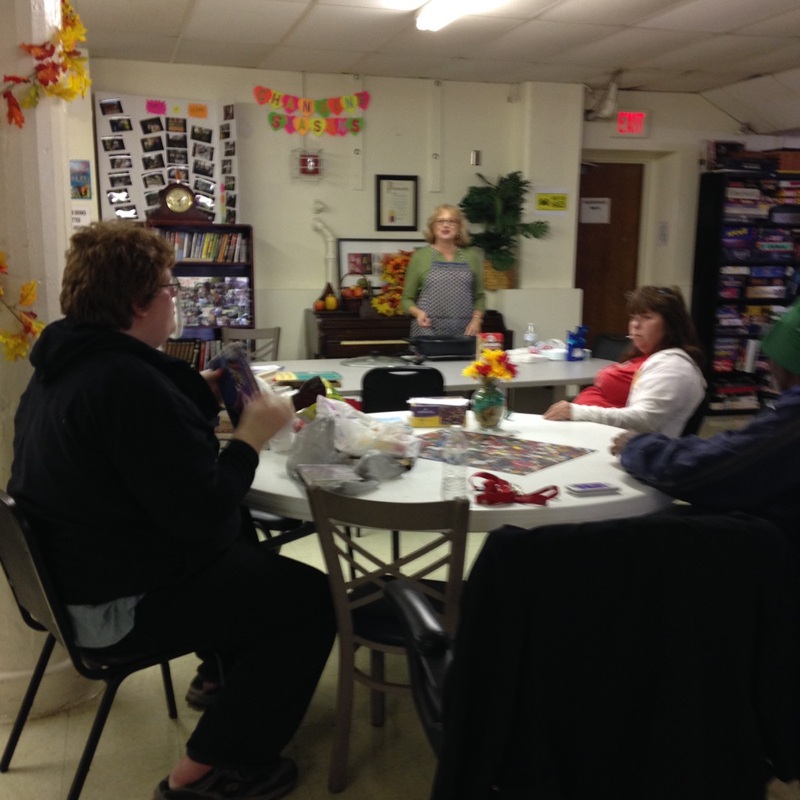 Changing Seasons, which is housed in the Y Annex, works closely with the men who live at the Y. One day in October, the services that CUP (Churches United Pantry) offer are going to be highlighted with a cooking event. 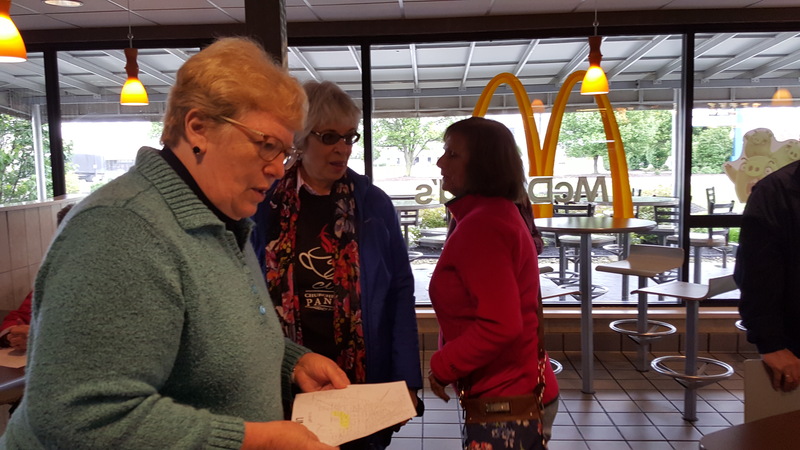 Mary Stepleton, the director of CUP and a former Home Ec teacher, will be demonstrating food that can be cooked using ingredients from CUP and an electric skillet. The men at the Y annex have very limited cooking facilities, and Changing Season’s one electric skillet is in high demand. That’s where your generosity comes in. 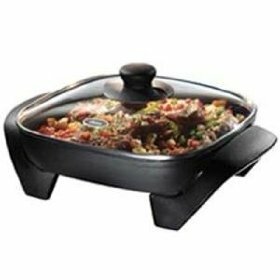 We’d like to be able to give electric skillets to the men from the Y who come to the demonstration, but we need donations of skills. And, while we’re dreaming–we’d like Teflon spatulas and spoons so we can give them tools to use with the skillets. Small to mid-sized new skillets with tools to use them–that’s what we’re asking for. Could you spread the word in your organizations, your church congregations, in your Sunday Schools classes, groups and clubs, and collect their donations? If you email us at limacup1.gmail.com, we’d be happy to arrange to pick up the skillets and tools that your people have given. Donations can also be dropped off at CUP or at any of our partner churches. Thanks for your support of this project and for your ongoing support!